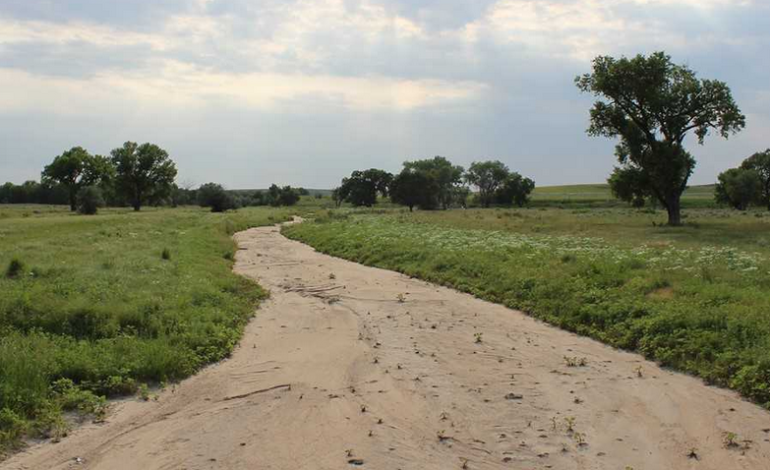 In a National Science Foundation-funded study, investigators plan to examine intermittent waterways, which dry or stop flowing periodically, as well as perennial streams that flow continuously, said Dr. Katie H. Costigan. The assistant professor in UL Lafayette’s School of Geosciences will share $1.6 million with researchers from the University of California, Berkeley; Northern Arizona University; Virginia Tech; and the University of Arizona. The University of Oklahoma received $1.4 million from NSF for the same project. “We are trying to understand why these streams dry and why streams often behave differently even though they may be very close to one another,” Costigan said. The funds Costigan and the stream team will share are part of a $9 million round of funding NSF awarded earlier this month. The grants went to researchers nationwide who are examining how organisms respond to environmental changes. “For decades, we have studied the ecology of streams that always have flowing water, while largely ignoring those that do not, but only 40 percent of U.S. streams always flow. This project will be one of the first to study both,” Allen said. When streams dry, invertebrates and other creatures that dwell within them are affected, so researchers will study how drying influences ecology as well. Fieldwork will take place at 100 sites in the central, southern and western United States. Costigan will conduct field research in Mississippi and Georgia, and will collect hydrological and ecological data at each site. Some study sites are part of the NSF-funded National Ecological Observatory Network, which uses sensors to monitor water chemistry and nutrients, and populations of invertebrates, fish and algae. Researchers will use data taken from the monitors and collected during their fieldwork to create hydrological models that can simulate different climate scenarios. What researchers find could hold implications for water management and flood mitigation locally, Costigan said. Although Louisiana’s residents often think of the implications of overflowing waterways, the other side of the coin – when rivers dry – is equally important.